This post first appeared on my own website blog, Between the Pages. I have to confess that I've yet to read a complete Stephen King novel. Trusted friends have recommended CARRIE, MISERY and others, and after being so impressed by ON WRITING, which I first read a few years ago, I did try MISERY. But ... no. I read only two or three chapters before concluding that Stephen King's fiction just isn't for me. It was gripping, undoubtedly, but perhaps I'm just too much of a wuss for such meaty stuff (and also vegetarian). This, though, I highly recommend. It's part memoir, framed by King's early days as solitary writer of stories, contributor to a school magazine and journalist - always with a hunger for writing, and tireless energy - and, at the other end of the book, an account of the traumatic accident which he was lucky to survive (he was hit by a truck driver while walking alone on a country road) and his slow recovery, during which resuming the writing of this book was a significant stage. There is so much to like here, not least Stephen King's devotion to his wife Tabitha (also a writer) and his gratitude for her support throughout his career, especially after the accident. His sales number hundreds of millions, he has published more than 50 novels, won a barrowload of prestigious awards and his current novel END OF WATCH is a New York Times bestseller; yet here he comes over as assured but not conceited, generous with his encouragement, genuine in his desire to pass on the joy he finds in writing. I've always disliked the nuts-and-bolts approach to writing which suggests that if you follow the rules and work hard you'll end up with a publishable novel. 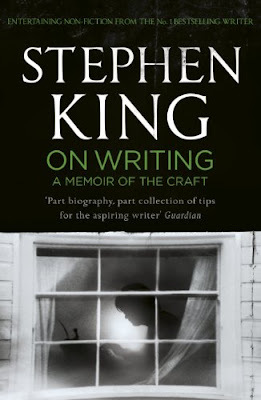 Although King does look at aspects of style and technique, he is clear that writing well is more than that. "At its most basic we are only discussing a learned skill, but do we not agree that sometimes the most basic skills can create things far beyond our expectations? We are talking about tools and carpentry, about words and style ... but as we move along, you'd do well to remember that we are also talking about magic." Yet he's good at debunking ivory tower notions of writerly preciousness, stressing that the most important thing is simply to get on with it. "There is a muse, but he's not going to come fluttering down into your writing room and scatter creative fairy-dust all over your typewriter or computer station. "(In a footnote, King explains "Traditionally, the muses were women, but mine's a guy; I'm afraid we'll just have to live with that.") Like many writers, he finds his 'muse' mainly by turning up for work and putting in the hours. He stresses the need for truth in what you write, dismissing a cynical market-based approach which puts sales and profit ahead of honesty. "It's morally wonky, for one thing - the job of fiction is to find the truth inside the story's web of lies, not to commit intellectual dishonesty in the hunt for the buck. Also, brothers and sisters, it doesn't work." In terms of his own love of the horror genre, "If you disapprove, I can only shrug my shoulders. It's what I have," fed by his early love of horror movies and comics. Interestingly, King is a writer of suspense thrillers who does not give foremost importance to plot: "I lean more heavily on intuition, and have been able to do that because my books tend to be based on situation rather than story." This isn't a writing textbook and there are no exercises, but there are plenty of examples (good and bad), a section of text which is then revised, with explanations, and one exhilarating what-if masterclass in which King takes a simple, familiar situation as the basis for a story and then plays with expanding it in ways that tighten the tension. It seems that his prodigious output since the publication of Carrie, his first novel, in 1974, has done nothing to dull his enjoyment in writing and creativity. "In the end, it's about enriching the lives of those who will read your work, and enriching your own life, as well. It's about getting up, getting well, and getting over. Getting happy, okay? Getting happy." Reading this book for a second time, I like Stephen King every bit as much as I did on my first reading. So: should I give his fiction another try? What would you recommend? This account of The Dead Zone, published in 1979, has a particular, prescient resonance now. King says that his initial idea "called for a dangerously unstable politician ... a fellow who could climb the political ladder by showing the world a jolly, jes'-folks face and charming the voters by refusing to play the game in the usual way." Thinking about his other narrator, King wonders: "Can a political assassin ever be right? And if he is, could you make him the protagonist of the novel? The good guy?" Yvonne Coppard is a writer of children’s fiction, non-fiction for adults and occasional columns and articles in a variety of publications. She is currently a Writing Fellow of the Royal Literary Fund, working with businesses and public service organisations to promote clear, understandable English in written communication. We use many clichés when we talk about the intricacy and mystery of the fascinating assembly of parts that we call the human body. But really, we pay little attention to it until something goes wrong. Dr Gavin Francis will convince you to look more carefully, as he takes you on a journey through the human body from the head to the toes. Along the way, he offers a compelling mix of insights from literature, science, history and medicine which never feels contrived. Each of the eighteen chapters takes a part of the body as its theme, and starts with a quotation from literature (an eclectic mix from the Bible, the Iliad, Grimms’ Fairy Tales, Tristram Shandy and more). What follows is a seamless weave of real human stories, scientific explanation and history of medicine. We become observers in the lives of Francis’patients as they grapple to overcome the frailties of their bodies and minds. Some stories are poignant or sad, some are bright and funny: all are inspiring. It is this striking ability to communicate across the divides of science and the arts that makes Adventures in Human Being such a striking read. The book is funny, poignant, moving and informative. It will make you think in new ways about sickness, and health, and about being human. 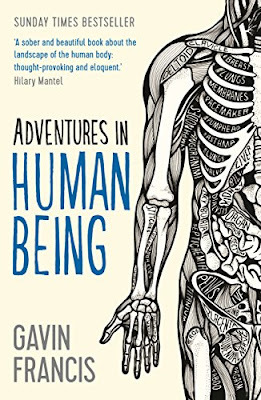 Adventures in Human Being is published by the Wellcome Collection. 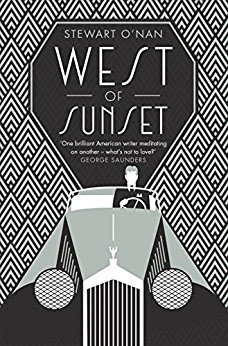 Stewart O’Nan’s multi-layered novel, West of Sunset, weaves a compelling story of many strands. Set in the Hollywood of the late 1930s its cast list features gilded names from the Golden Age of movies – the stars, Bogart, Joan Crawford, Garbo, the studios who made them stars, MGM, Metro, and the writers who wrote the scripts, among them Scott Fitzgerald, in the dying years of his life, contending, through an alcoholic haze, with the cruelties of the movie industry and his wife, Zelda’s, mental illness. She committed to a clinic/asylum, he ricocheting from one ungrateful writing job to the next, ‘as adaptable as a hermit crab’, their hapless daughter, Scottie, without any permanent or secure base – boarding school, her grandmother’s, visits to the clinic, hotel rooms in Hollywood. It’s a nightmareish world, an existence which parallels the fake dreamscapes of the movies themselves. And west of sunset might be that murky penumbra left when the light fades from the screen and the never-never land of make-believe hits the hard rails of the reality: writers discarded mid-script with neither reason nor apology, the unforgiving demands of the writers’ building - the Iron Lung - the seedy apartment where Fitzgerald works, his neighbours ‘starlets and grips hoping to do better [and] an obese woman who sold her screams to the movies and treated them to free samples, rehearsing at all hours’. The pressure to deliver is unrelenting – deadlines, endless pots of coffee, working into the small hours, ‘restaging the French revolution as a tragic love story for Garbo’, accommodating the imperious warning of the fading star in need of a hit after a flop: ‘I never die, I never ever lose my man’. This is Crawford, and O’Nan observes that as a star got older, the range of parts got narrower, and so the forlorn urgency to reclaim the glittering heights grew ever more insistent. But, when pretence rules, what certainty is there, can there be? Of his own tortured feelings about Zelda, the beautiful, funny, dazzling creature he married and still cherishes, declined into a woman oscillating between unpredictable states of tenuous reason and incomprehension, her body either haggard or bloated, yet still capable intermittently of thrashing him on the tennis court and swimming like the lithe nymph she’d once been, he reflects: ‘they’d been so miserable together that he’d never invented a happy ending for them’. Is this Fitzgerald or O’Nan? It doesn’t matter. So fully does O’Nan explore the spectral vision of pretence – that’s what they were all engaged in, after all, pretending – that the resonances are painful and telling. It was an environment of bad faith and worse taste. The author, praised lavishly by the producer, goes to the movie screening and sees what he wrote mangled, changed, lost, trashed. Through all this, Fitzgerald still tries to answer the drive to write another novel, to do once more what he’d done best. And so, the feverish clutching at time, the chasing of scraps of money to keep going, despite promises and offers broken and reneged on, the constant battle with Goldwyn and Mayer ‘and whatever third head of Cerberus guards the gate’. But there is an unlikely redemption. In Hollywood, Fitzgerald meets and falls in love with the English journalist Sheila Graham - inscrutable, self-possessed, sane, who, in looks, ‘might have been Zelda’s twin’. Their ardent relationship runs like a parallel life, a kind of stability to offset the chaos of his tormented marriage. Graham rebukes his drinking, he reforms, and, in a poignant conclusion to one chapter: ‘Whoever she was, he wanted her, as he wanted these peaceful days to last, and this new life, impossibly, to be his’. Oh, the latent force in that ‘impossibly’. West of Sunset is published by Allen and Unwin, 2015. Like a sonata, this moving, memorable novel has three parts, the central one introducing a different key – present-tense, and moving back in time. 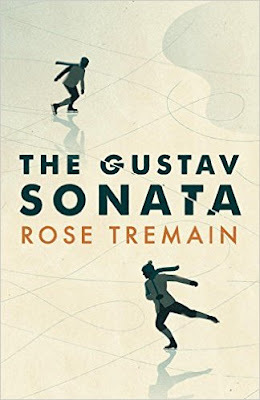 Rose Tremain's story of loyalty, betrayal and forgiveness is set in Switzerland, at first in the years immediately following the second world war. The main viewpoint character, Gustav Perle, is dutiful and self-effacing, sublimating his own loves and desires from boyhood until - in the final section - late middle age. His father, Erich, died suddenly while Gustav was still an infant and he is brought up in poverty by his coldly grudging mother, Emilie. Aged five, he meets Anton Zwiebler, whose friendship will be important throughout his life; but Emilie resents Anton for being Jewish, and discourages friendship with the affluent, cultured and middle-class Zwieblers. “The Jews,” she tells Gustav, “are the people your father died trying to save.” Tremain is particularly good on small details of childhood toys and games, significant when recalled later: the painted faces on the sides of Gustav's toy train carriage, the "doctor and nurses" game the two boys play in a deserted sanatorium, and the blood-pact they take, cutting their arms with the blades of ice-skates. At this stage readers might suppose that Anton - the sensitive pianist whose behaviour indicates latent homosexuality - will prove to be the more vulnerable of the two as they grow up, while Gustav's role as loyal, undemonstrative comforter, starved of love at home and seeking it elsewhere, shapes his future life. It’s in the middle section that we learn of the dilemma facing Gustav's father Erich, in which he shows compassion beyond his wife’s limited emotional understanding. In the late 1930s the country faced an influx of Jewish refugees from Austria, France and Germany, a situation with contemporary resonance for readers. Erich, an Assistant Chief of Police, finds it hard to look at these desperate people; as his colleague says, “It could be us on those hard benches. And that’s what we’re most afraid of – to look out there and see ourselves.” In the summer of 1938 an order is given that all Jews attempting to enter Switzerland must be sent back, and Erich is moved to risk job and status by bending rules for the refugees who apply to him for help. It’s an illuminating picture of an aspect of the war with which I, for one, was unfamiliar – the fears of Swiss people that neutrality would not be honoured by Germany and that their country, like Poland or Czechoslovakia, would be invaded. Emilie never forgives her husband for what she sees only as betrayal. “He put Jewish lives before mine. He cared more about helping strangers than he cares about me.” Yet Tremain allows us to feel some sympathy for Emilie by giving glimpses of her childhood with her own mean-spirited mother. In the final section we return to Gustav, now in his fifties, running a mediocre – and soon struggling – hotel in the same unremarkable town in which he grew up. His friendship with Anton has endured, but is threatened when Anton, a talented pianist whose nerves have always prevented him from performing in public, is given a new opportunity. After he leaves - excited about his prospects, heedless of deserting his closest friend - it seems that Gustav is destined to spend his mature years as “a sad, grey donkey” in the company of elderly people – his mother (as critical now as ever), Anton’s parents and the voraciously sexual wife of his father’s former colleague. It’s a long wait for the fulfilment the reader will surely feel is due to Gustav. “We have to become the people we always should have been,” he is told, in a poignant, perfectly-pitched ending which brings back motifs from the first section. The Gustav Sonata was shortlisted for the Costa novel award, along with the equally impressive The Essex Serpent, by Sarah Perry. The judges must have faced a difficult choice before awarding the prize to Sebastian Barry for Days Without End. The Gustav Sonata is published in hardback by Chatto and Windus. Sue Purkiss writes books for children and young people. She has been a Royal Literary Fellow at Exeter and Bristol Universities, and has also taught English and worked with young offenders. But above all, she is, and always has been, an avid reader of other people's books! For more information about Sue's books, see her website. She also has her own literary review blog, A Fool on a Hill, and is a contributor to The History Girls, blogging there once each month. I must have been about fourteen when I first saw David Lean’s film of Dr Zhivago. Set in and after the time of the Russian Revolution, it starred Omar Sharif as Yuri Zhivago, a young doctor; and Julie Christie as Lara, the woman with whom he falls profoundly in love. Geraldine Chaplin was Tonya, his wife – whom he also loves, but in a much quieter way; Rod Steiger was the brutal realist and seducer of the young Lara, and Tom Courtenay was the young revolutionary whom she marries. But the backdrop was also a star: the vast forest and steppes of Russia; slender birches with leaves stirred by a restless wind; the snowy streets of St Petersburg, splashed with the blood of the poor. The story matched the sweep of the landscape, and Omar Sharif – dark, sensitive, tender – and Julie Christie – passionate, vulnerable, and so beautiful – were the perfect vehicles to drive it. I, along with at least a generation, was bewitched by it – and so when I saw this book, called Lara and with a picture of Julie Christie on the front (though, rather oddly, the picture is not from the film), I immediately reached for it. But it’s not, of course, the story of Lara – that was Dr Zhivago, the book by Boris Pasternak on which the film was based. This is the story of Olga Ivinskaya, the woman who inspired much of the character of Lara. Not all: the inciting incident, Lara’s seduction by Komarovsky, is based on something that happened to Pasternak’s second wife, Zinaida, whom he had wooed away from her first husband, who was one of his best friends. In order to be with her, he left his first wife and child. But they were very different people; she had little interest in his career as a successful and popular poet and was fearful that his determination to speak out freely would cause trouble with the authorities. (And she was quite right: it did.) It seems typical of Pasternak that he would take what he needed from the lives of both his wife and his mistress to create his heroine. 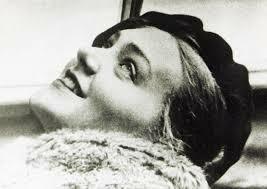 Boris met Olga in 1946, when he was 56 and she was 34, twelve years after his marriage to Zinaida. They met in the offices of a literary magazine where she worked. She was blonde and very pretty, and she was a passionate fan. Her romantic life had also been eventful: her first husband killed himself when he discovered that she was having an affair with the man who later became her second husband, and then died young, from lung disease. Boris courted Olga, and they were soon lovers. They had a great deal in common. As Anna Pasternak writes: Both were melodramatic romantics given to extraordinary flights of fantasy. ‘And now there he was at my desk by the window,’ she (Olga) later wrote, ‘the most unstinting man in the world, to whom it had been given to speak in the name of the clouds, the stars and the wind…’ Epic romantics indeed. They were together until Pasternak’s death; their lives were closely intertwined. She supported and encouraged his writing, he relied on her utterly, he had a close relationship with her daughter Irina – but he never left Zinaida for her, even though, had he done so, his name would probably have protected her from a great deal of suffering. Interestingly, Anna Pasternak is Boris’s great-niece, so she has access to sources which would have been less easily available to another author. She tells us that: both Olga and her daughter, Irina, have received a bad rap from my family. The Pasternaks have always been keen to play down the role of Olga in Boris’s life and literary achievements…for him to have had two wives… and a public mistress was indigestible to their staunch moral code. Anna clearly sees things differently. She writes towards the end of the book: When I began Lara, I was secretly concerned that I would discover that Boris used Olga… but as she went on, she concluded that this was not the case, and she was surprised to develop a more tolerant affection for Boris. Olga inspired the character of Lara, but she assisted at the birth of the novel in another way too. When, in 1957, after twenty years in the writing, it was finally ready for publication, the Russian authorities were outraged by its critical portrayal of the Revolution. They refused to allow publication unless Boris would agree to water it down considerably. Unlike Zinaida, Olga supported his refusal to do this, and worked with him and with an Italian publisher to enable it to be published, first in Italy, later all over the world. Pasternak was held in high regard in Russia, and had been for many years – even Stalin had been an admirer. He was shielded from the fallout – but Olga was not. She was sent to the gulag twice because of her association with Boris and the book. The story of Olga and Boris has almost the romantic, epic sweep as that of Lara and Yuri – and it gives us a sobering glimpse into how life was in an autocratic society which lacked the freedoms which we take for granted. It’s fascinating, and very readable. Lara: The Untold Love Story that inspired Dr Zhivago is published by William Collins.